Accepting credit cards in your business isn't as easy as signing up and accepting cards. Understanding all of the fees and charges can be the difference in the success or failure of a business. TransGate Solutions believes that every business owner deserves to be educated in the actual costs of accepting credit and debit cards and provides a thorough education everytime we meet new customers. TransGate Solutions doesn't require our customers to sign long term contracts with rates that change every year. Our merchant solutions are on a month to month basis, and with our rate lock you can be sure that we will not increase your rates. In order to accept credit cards you need to apply for a Merchant Account. Merchant accouts can be applied for over the phone or in person with a local sales rep through our exclusive Ipad application. Approval usually takes 24-48 hours from the completion of the merchant agreement. Once the submitted merchant account is approved, your assigned sales representative will contact you immediately to schedule the installation of your credit card terminal or POS equipment. With TransGate Solutions you can accept Visa, Mastercard, Discover, and American Express and Pin based Debit transactions all on the same statement and all with next day deposit. With TransGate Solutions we believe you deserve to manage your business everyday and not wait until the end of the month for your statement. With all of our merchant accounts you wil have real time online access to your transaction data and monthly statements. If you can't find what you're looking for you can utilize our 24X7X365 local customer service. A local business supporting local businesses! 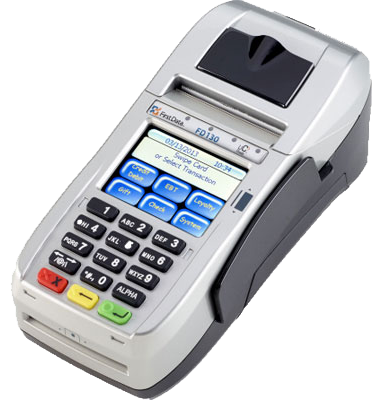 If you are doing business face to face, accepting credit card processing has become a necessity. Whether you have a store, restaurant or kiosk, TransGate Solutions can help your business set up a merchant account and accept credit cards for less money than you ever thought possible. As technology changes so does your retail equipment. Is your terminal PCI compliant? Can your terminal accept the latest forms of payment like EMV? Let TransGate Solutions set your business up with the most current equipment available to accept all of the new payment options such as EMV and Mobile Wallets. If you have an Internet store or own a retail e-commerce website, you will need online credit card processing. With the help of an online merchant account and credit card payment gateway, you can give your customers the option to purchase goods with the click of the mouse, at any time, day or night. TransGate Solutions can provide you with an online merchant account and the ability to do online credit card processing, no matter how small or how large of a website you have. If you run a mail order business and/or take credit card payments over the telephone, you are participating in, what we call in the industry, MOTO Credit Card Processing. (MOTO = Mail Order Telephone Order). Essentially, this means that you collect credit cards in an environment where the customer and credit card are not physically present at the time of purchase. Another term used for this is card not present credit card processing. New MOTO credit card processing options are available with a wide range of card processing equipment and software. TransGate Solutions can help you get the processing solution that's just right for your business.